In this article we will go over how to turn on your auto-pilot Loyalty Program along with a short description of what the Loyalty Program is all about. CaterZen Catering Software integrates with a third party mail house to send physically printed and mailed full color letters and postcards. 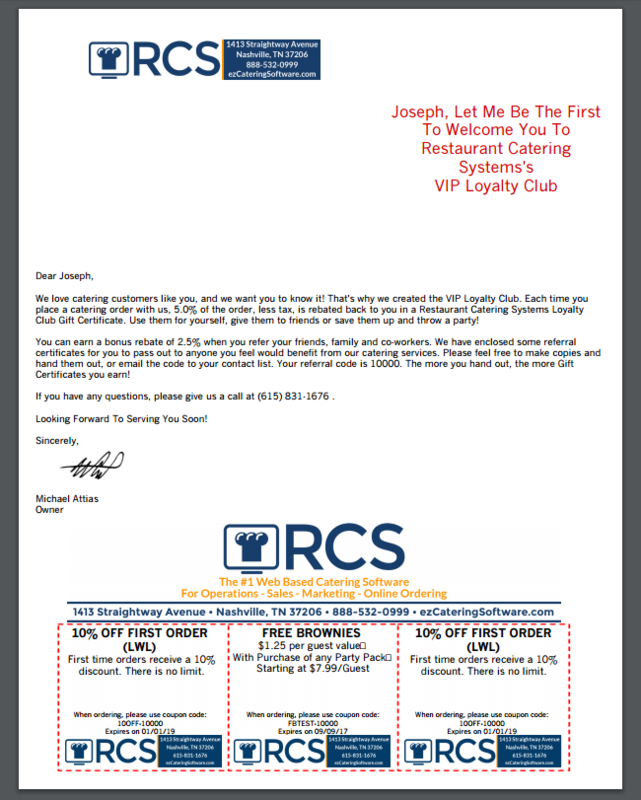 The Loyalty Program is one of the auto-pilot letters we offer. 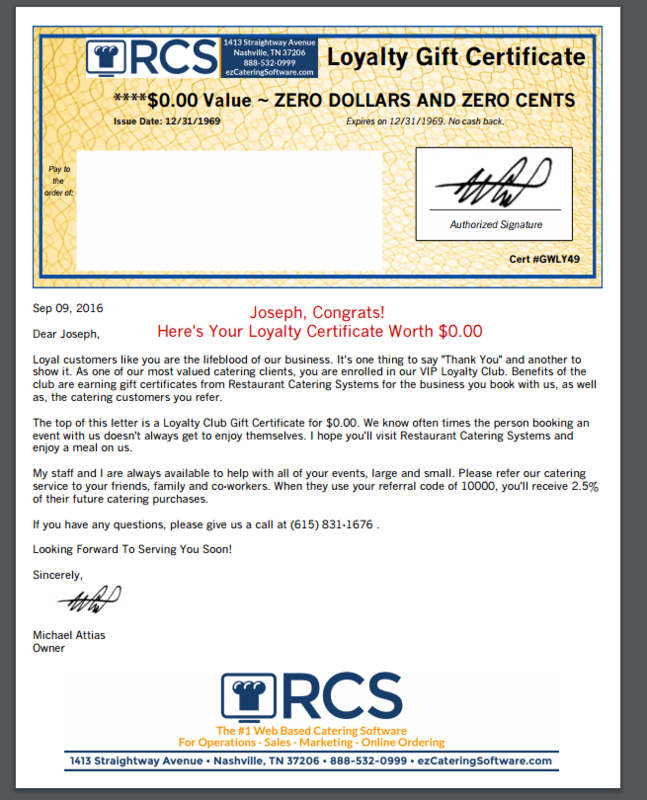 The Loyalty Program allows your customers to earn gift certificate dollars when they place orders with you or if they refer a friend to you. During your marketing meeting you will determine the percentage you want to give to the customer when they place an order with your if they refer a friend. 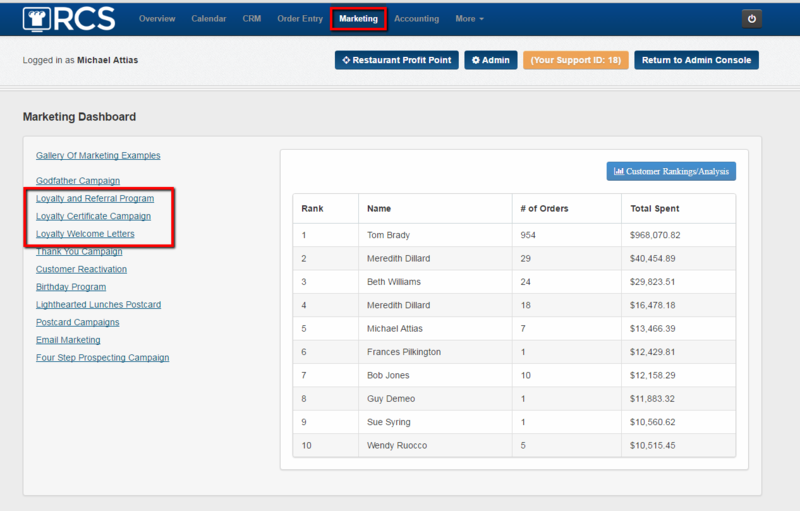 CaterZen will keep track of all the customer's orders and the orders of the referred customers. Once the customer earns a certain amount of gift certificate dollars (you determine the amount), then your customer will automatically be mailed a gift certificate to use with you. 1 - The Loyalty Program is found under the Marketing Tab and then there are 3 links related to the program: Loyalty and Referral Program, Loyalty Certificate Campaign and Loyalty Welcome Letters.